Lemon, olive oil and strawberry. It is varied by the ones above.It is presented with roll on package with brilliant comfort Hard Wax is produced by the First Class resins collected from the different areas in the World. 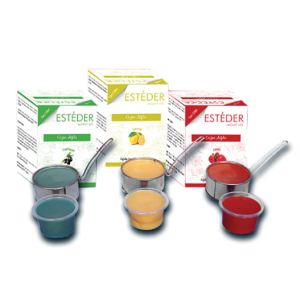 It is an additive-free and completely natural wax type.It epilates even the shortest hair off its root by means of 100% resin based liposoluble wax; it is applied as thin and easy.It may be used conveniently in sensitive and easily irritable skins. It helps the skin to be renewed and freshened.Your hair becomes more sparse, thinner and softer by regular usage. The area that will be waxed should be oil-free and dry. the wax is ready for usage in honey consistency (60-65 degrees in average). mould wax from your skin by a washing handkerchief or oil.